Starting the week off... with some encouragement. Yesterday I shared that my 6th grader Lily was very anxious, very upset, about going to Outdoor School. (Post: Is It Right To Make Her Go?) Well, we got her packed and she made it on the bus. 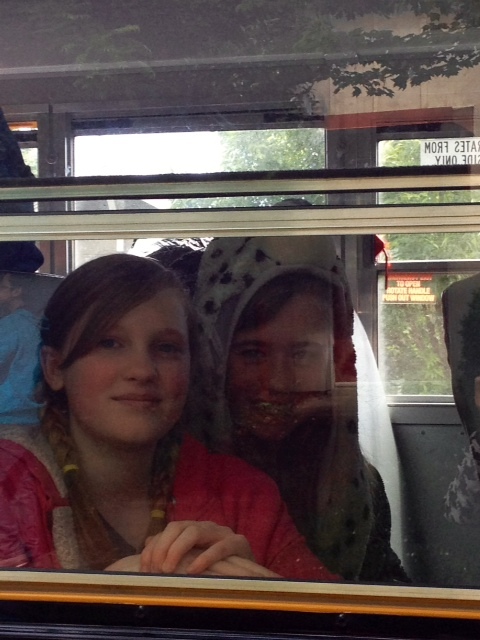 Here she is sitting next to her sweet friend, and cabin buddy, Kaitlyn. When the bus started to pull away from the curb I saw her take a deep breath and try to smile.